Happy Halloween my lovelies! This picture seriously creeps me out. But if dolly had one chunk of hair left tied with a dodgy little bow, she'd be exactly what I pictured for Nanny's companion. And on that delightful note, on to the finale! The scent of her, homey and honey sweet, wafted over him. But the comforting aroma was tinged with something else. Smoke? But his mother didn’t…Then it came to him. The fire. His eyes popped open to see his mother bent over him, her face twisted with concern. Red and blue lights flashed behind her. Ben tried to piece things back together again. The interchange with the old woman. The doll. The fire. He pushed the words out. "Did she get out all right?" Ben wanted to explain what he meant, but his head was pounding so hard he could barely think. Something niggled at the back of his mind. Had his parents ever really referred to the old woman? He remembered thinking of her often throughout the years and longing to ask questions. But every time he had brought her up, his parents changed the subject, always with that same concerned expressions. “The doll,” he muttered dazedly, looking around for it. 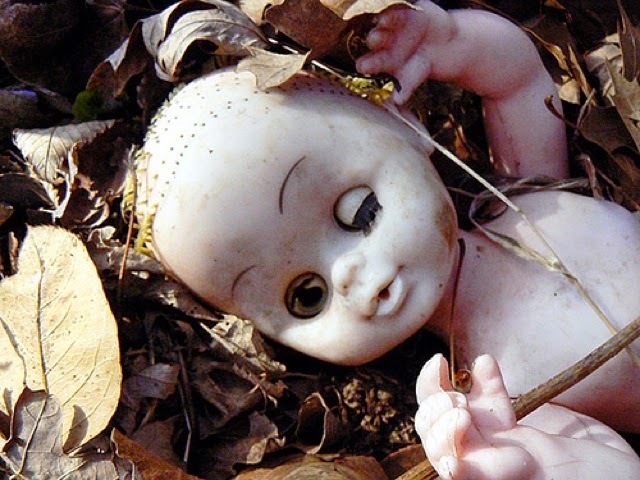 “Do you mean this old thing?” His mother brought forward the tattered doll, pinching its pigtail between two fingers. His mother glanced up at the narrow attic windows, the color draining from her face. Ben propped himself up and followed her gaze. Obviously, the fire had been contained quickly, but the shattered, blackened window testified of what had transpired. The next words out of his mother's mouth were so faint he barely heard them. “Nanny West,” she said softly. “So you sent her away?” His mother confirmed the guess with a grim nod. Shock ran through him like lightening. Ben turned his gaze back to the attic window. His mother cupped his cheek to draw his attention and he refocused on her face. The statement hung in the air, worming its way more into Ben’s mind with each passing second. “How did she die?” he asked. “What about that?” Ben nodded toward the doll sprawled in his mother's lap. “It was with her when she died,” she said, pressing her lips together, as if it that was all she would say on the matter. Ben narrowed his eyes, willing her to put into words whatever she had held back. She dropped his gaze, shame creasing across her brow. In a voice so small Ben barely heard it, she said the one thing that would haunt him for the rest of his life. Thanks for reading! I'll admit I hate horror but I love suspense and mystery. A special thanks goes out to my dad for introducing me to both Alfred Hitchock and The Three Investigators and for my five brothers who regularly scared the pants off of me. Sometimes literally. Did you get scared? I'd love to hear what you think! Read Parts One and Two again!